Stained glass window, St. Mary’s – Stony Hill Church, Watchung, NJ. Thank you for your comments. 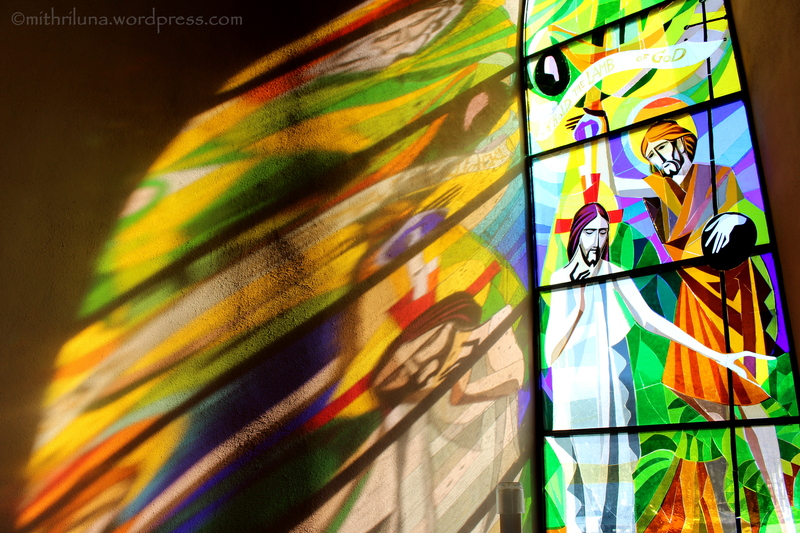 I am not a fan of the modern churches with artsy stained glass windows but this window really was beautiful on that sunny day. The way you caught that reflection is masterful! Beautiful capture with the light and color. Stunning. Thank you so much for your kind comments! Thanks for visiting my blog.